On the next image and in your dashboard you can see new menu item called “Posts”. This is where you can organize and setup your posts. 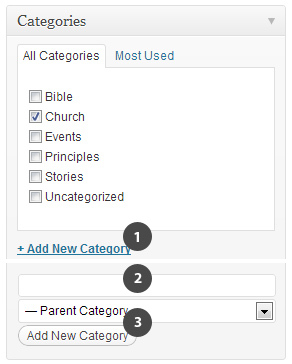 To organize posts you need to create categories. You can make it before, after or directly during the creation of the post. After that you’ll see content editor (1), where you can find shortcode buttons (2) in visual mode, and lots of metaboxes (3,4) if you scroll down, below the editor. 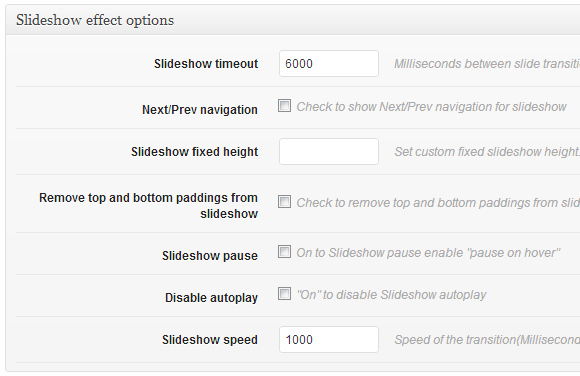 Metaboxes (4) is where you can set differnt settings for your post, such as set slideshow, sidebars, seo, etc. 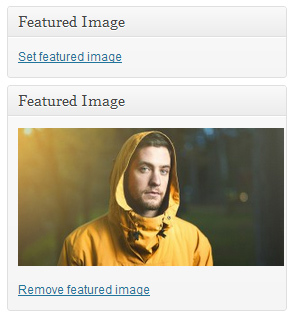 Important steps when creating any post is to “set featured image” and assign category (3). On the right side you will see your categories. You need to check in which category you want this post to be displayed. To do this click + Add New Category. Set Category name and press “Add New Category” button. * And don’t forget to assign this category to your post of course. 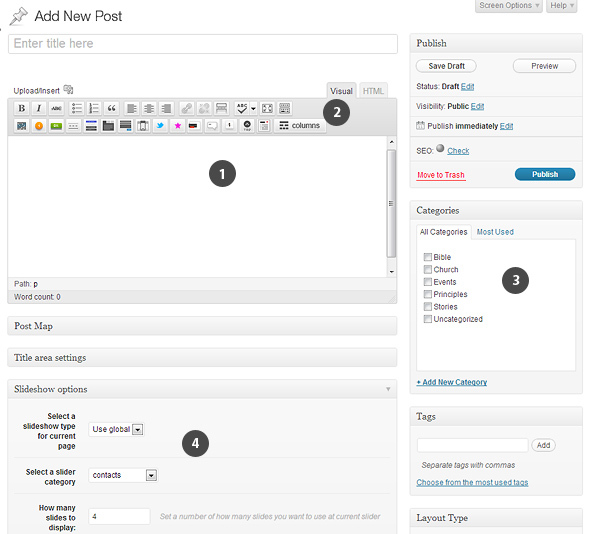 If you want to have same sidebar and layout for all post pages and blog listing you can set it in Theme Options -> Blog. If you want to have image thumbnails on blog listing, popular post widgets, etc. then you need to set featured image for your posts. 1. Click “Set Featured Image” on the right side of the post edit screen. You can set map in title area for any post/page. After that new options will appear. 1. Type your location and click Add button. You will see a pin with popup on the map. 2. 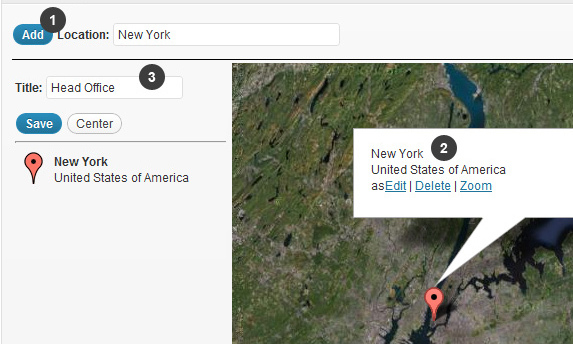 You can edit address in popup on the map by clicking “edit” link directly in popup. 3. Add title for this location and press Save button to save location. Now you have a location on the map. You can edit this location at any time. To do that rollover on location title and edit link will appear. Please note that if you didn’t set additional title for post, it will use additional title from page that you set as blog (“post page” in Settings -> Reading). After you created your posts, you may want to set your blog posts page. 1. First of all you need to create a page that will be used as your blog page. 2. Then go to Settings -> Reading and choose page you want to use as “Post page” in drop down. 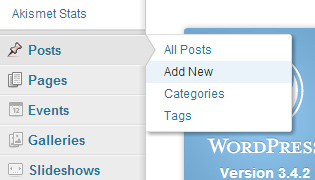 Note that blog page is not the only way to show your blog posts, you can also use blog shortcodes. 1. How to turn on/off breadcrubms. 2. How to change colors for elements, letter spacing, etc. 6. Disable thumbnail for blog listing, categories, etc.